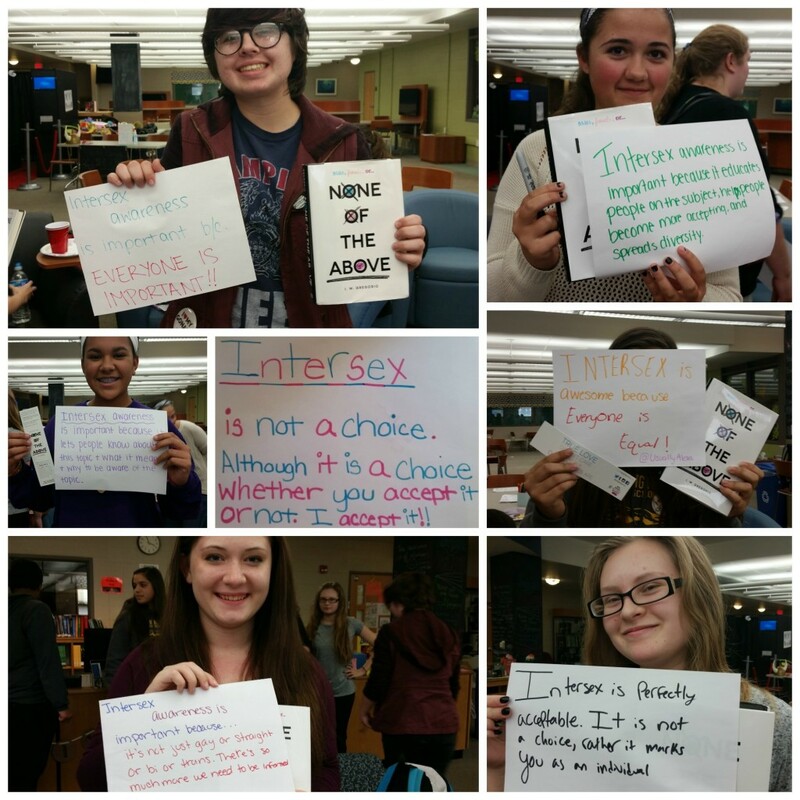 Tomorrow is Intersex Awareness Day! 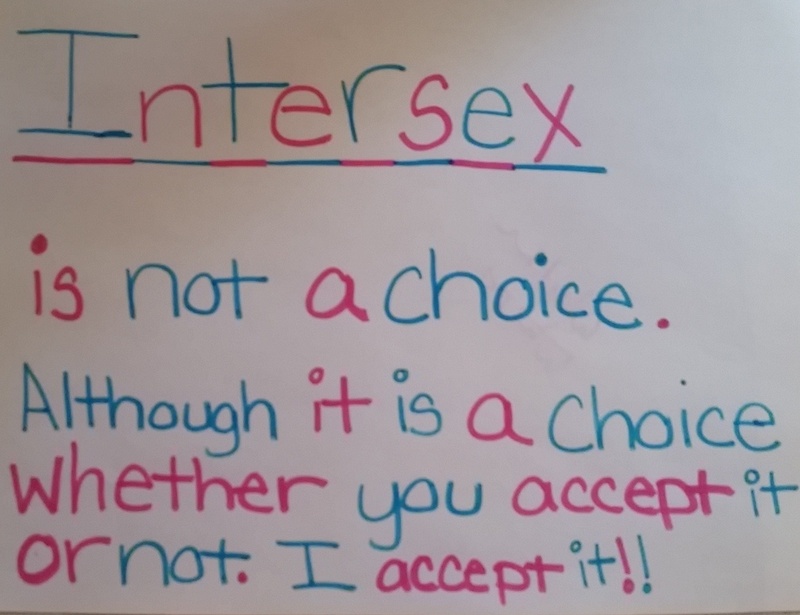 Pidgeon Pagonis (formerly of Advocates for Informed Choice and InterActYouth) is spearheading the effort to get #IntersexAwareness day to trend, so please do help her out and sign up for her TwitterStorm. 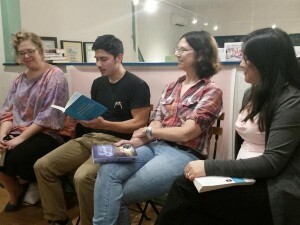 And keep your eye for for my post on Why Intersex is Awesome on EpicReads – wherein some amazing author friends have chimed in with their own thoughts on why intersex awareness is important. 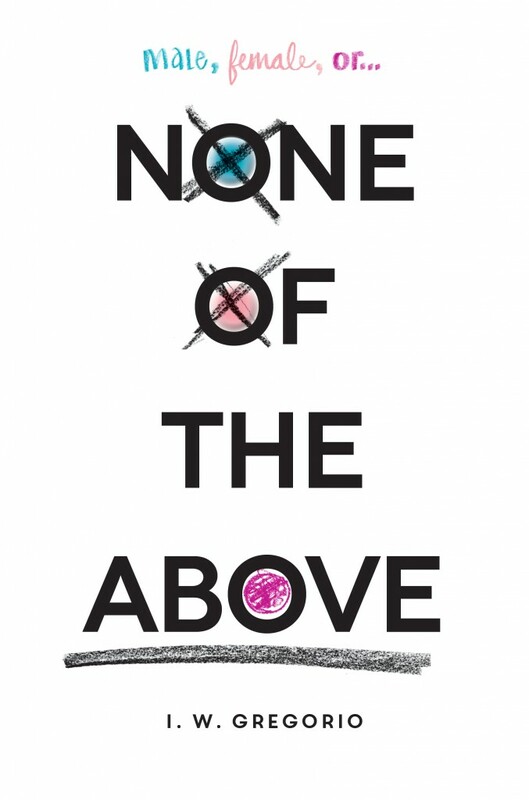 To help celebrate their involvement in #intersexstories, I’m hosting a Rafflecopter giveaway for a signed copy of None of the Above and any FOUR of their books! 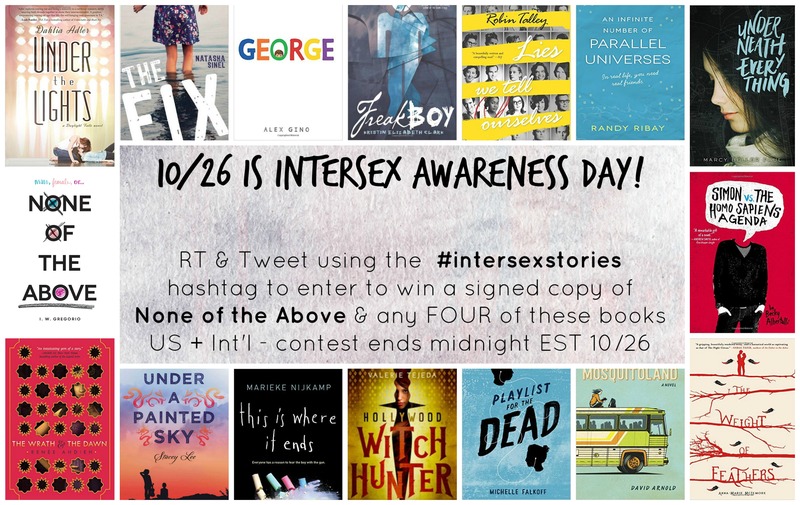 Be sure to Post or Tweet why YOU think intersex is awesome tomorrow, using the HT #intersexstories. 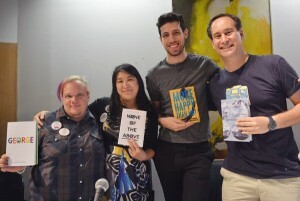 With Alex Gino, Adam Silvera and David Levithan at BKBF 2015. 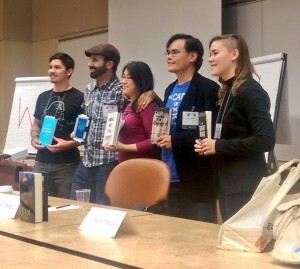 Photo credit: Publishers Weekly. Hope to see everyone’s smiling faces soon! 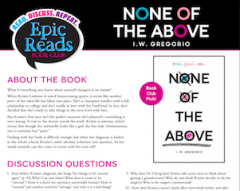 Huge shout out to Wendy at The Midnight Garden, for hosting the official None of the Above blog tour, and for having the brilliant idea to have a graphic debunking an intersex myth each day. The last stop for the blog tour will be on Monday at The Irish Banana, where I’ll be interviewing the intersex author Lianne Simon. Last but certainly not least, I wanted to recommend that you view this stunningly moving Buzzfeed video on What it’s Like to be Intersex, featuring three intersex youths I met at last year’s AIS-DSD Support Group conference. I’m just blown away by their poise, their smart (and funny) comments, and their honesty and vulnerability. I hope you’re as inspired by them as I am. Almost a year and a half after selling None of the Above, my debut year is finally here! And I’m terrified and excited and anxious and happy and every emotion in between. I also have a tiny bit of news. Remember when I announced my release date as April 28th? NotA‘s official release date has been pushed up to April 7th, for absolutely the best of reasons: it’s going to be taught this spring in an English course at Illinois State University! 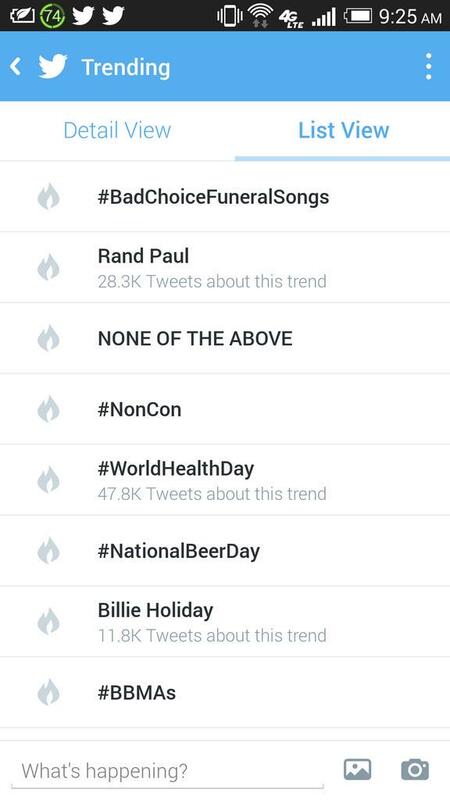 I’d be lying if I said this hasn’t been a dream of mine for a long time. 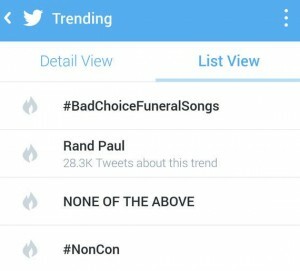 When I sold NotA, I knew that it probably wasn’t going to be blockbuster material. 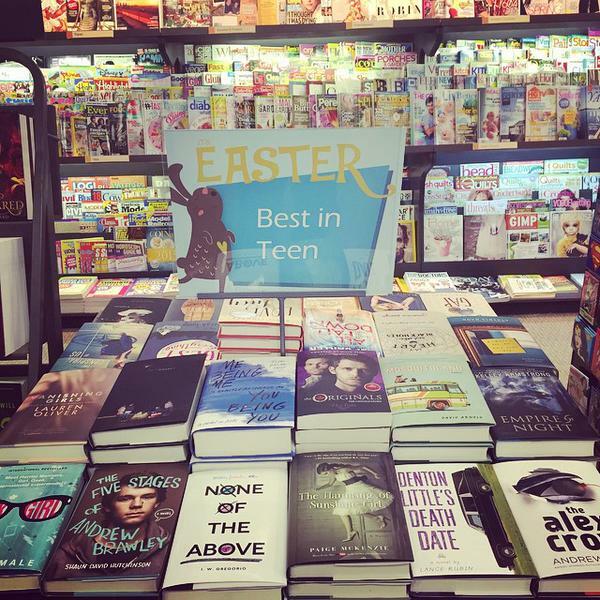 First of all, the YA market is incredibly saturated, with hundreds of traditionally published books coming out each year. 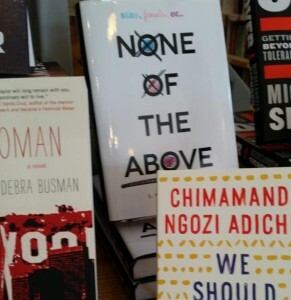 It’s hard for a debut author to have his or her voice heard above the fray, and it may be easier to get an NFL contract than to break into the New York Times YA bestseller list. 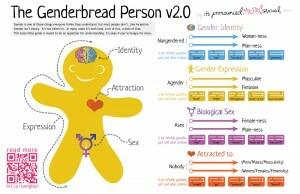 What made me more nervous, of course, is that intersex is still fairly taboo – even invisible – and super misunderstood. That’s why Hanna the Irish Banana‘s Goodreads review of NotA is my favorite so far… because it gives me hope that even if people are initially put off by the subject matter, the book can win readers over, and more importantly, increase their understanding of intersex. Note that I didn’t use the “t” word: Teach. One of my biggest inner conflicts as I was writing was that I really, really didn’t want it to sound like a textbook. Yet, at the very same time, I felt a heavy responsibility to make it medically informative precisely because intersex is so poorly understood. 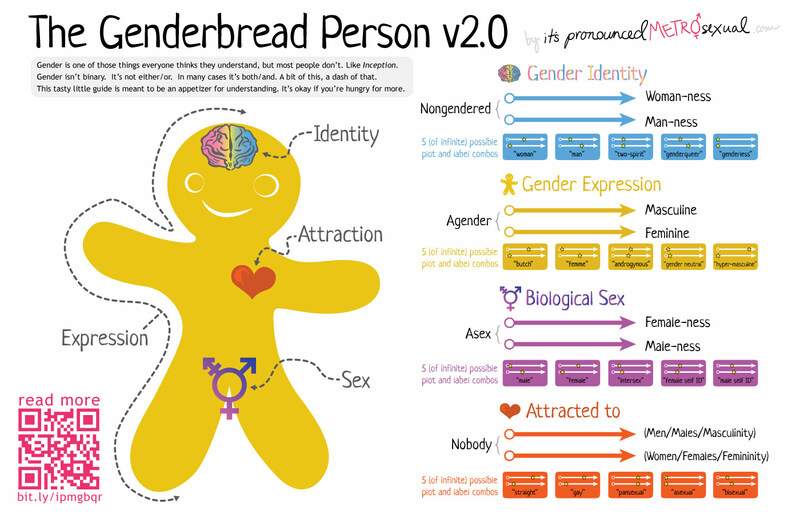 It was so crucial that I get the details about intersex right, because even medical professionals don’t understand intersex. 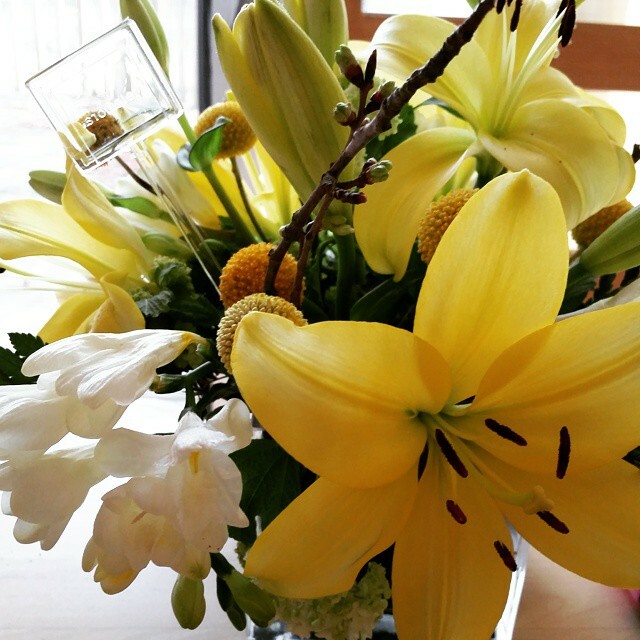 But how to inform without being didactic? It’s a fine line that I hope that I managed, though I know that everyone will have their own opinion. The last thing I want is for NotA to be considered to be, I don’t know, a kind of literary cod liver oil that one has to imbibe as penance for their cotton candy beach reads. Though it’d be cool if it were a superfood, like blueberries; those are yummy and good for your heart. I hope that readers both learn from NotA and enjoy it. We shall see. 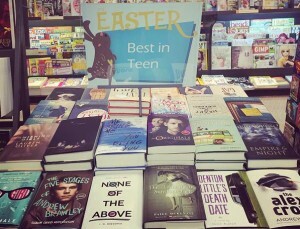 The newer launch date is also cool because it means that NotA will be available for some fabulous events that I will be attending in April, including Women’s FEST in Rehoboth, Delaware, and the Little Flower Teen Writers Festival in Philadelphia. So there you have it. 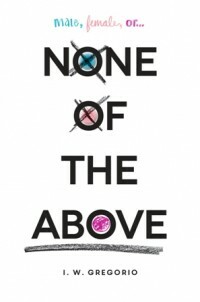 None of the Above will be hitting bookstores in three months! In fact, if you’ve got a gift certificate burning a hole in your pocket, you even can consider pre-ordering a signed copy! Stay tuned for some more frenzied blog posts – including a love letter more of my Fearless Fifteeners friends (check out the #2015YAreads hashtag on Twitter, this week’s TTT posts, or check out their AMAZING books here). My cover is coming! My cover is coming! Granted, it wasn’t the fully grown book, more of a teenager really; Advance Readers Copies, or ARCs, aren’t copyedited and are printed in paperback without a lot of the bells and whistles that will be in the final version. But still. My book. 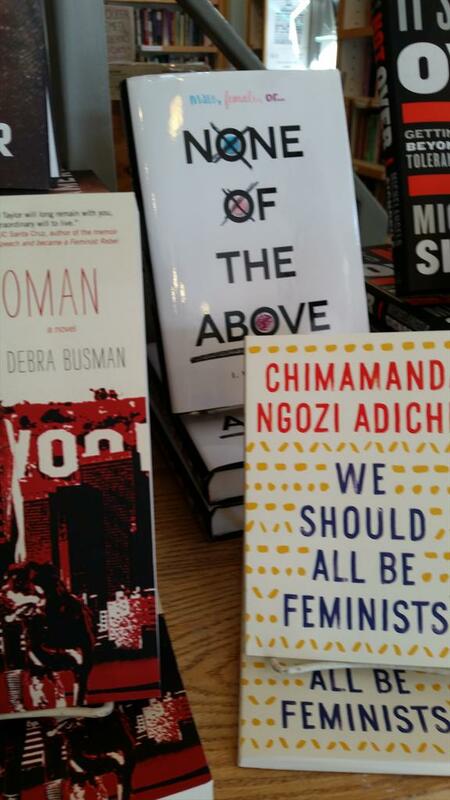 None of the Above in tangible form. That I could sign, which I did for several dozen amazing and enthusiastic booksellers. I’ll be signing some hot-off-the-press ARCs of None of the Above at NAIBA’s #WeNeedDiverseBooks reception. There’s an amazing guest list (including some of my very favorite people in the world) which you can see here!